FREE UPS GROUND SHIPPING ON ALL KETTLES! 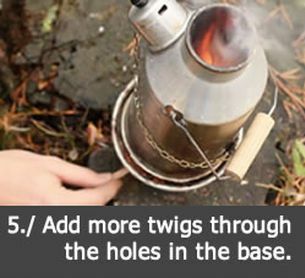 The Ghillie Kettle has produced camping kettles for centuries and at Ghillie Kettle they're still handmade in the age old traditional way. We do however have one unique feature! 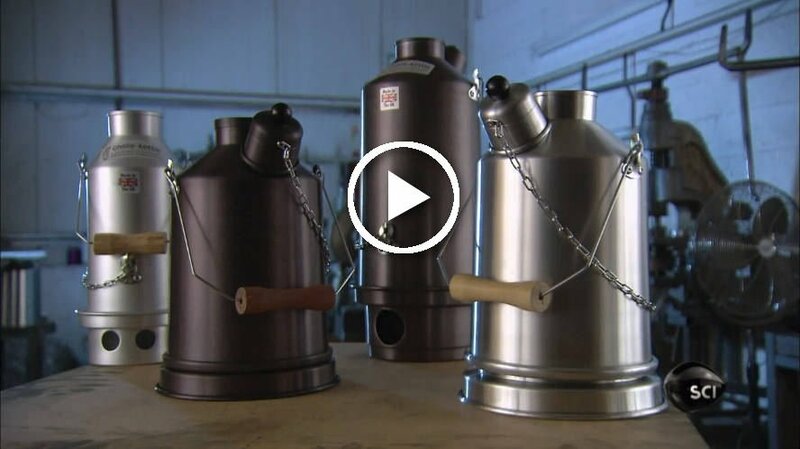 All of our Ghillie Kettles come complete with their own whistle. 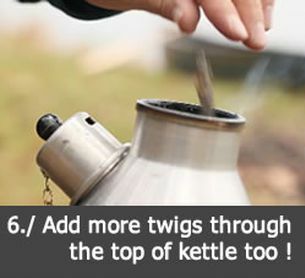 This adds to a safer product as you know exactly when the kettle reaches boiling point. 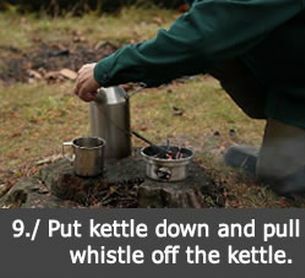 All of our Kettles are delivered in their own storage sack and are supplied with full instructions. 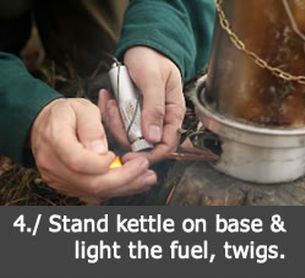 The Ghillie Kettle is ideal for Camping, Fishing, Hiking and any outdoor activity. 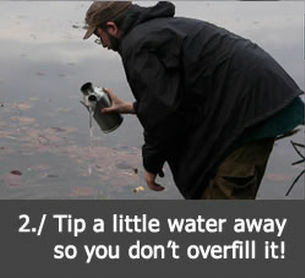 Able to be used in harsh conditions even Wet and Windy. 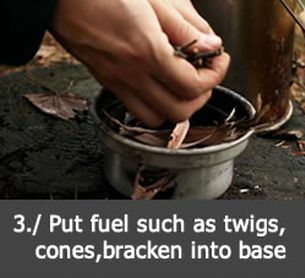 It is quick, durable and simple to use with no need for gas or artificial fuel : Use twigs, fir cones, dry leaves and news paper. 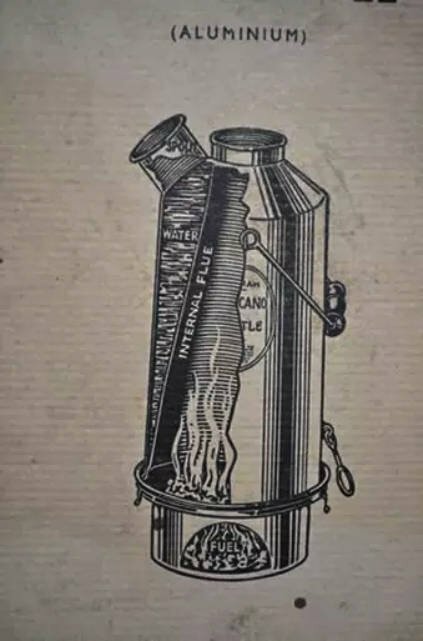 The chimney or volcano kettle design was refined by John Ashley Hart of New Zealand who may have been inspired by traditional Mongolian and Chinese hot-pots which had a central chimney. 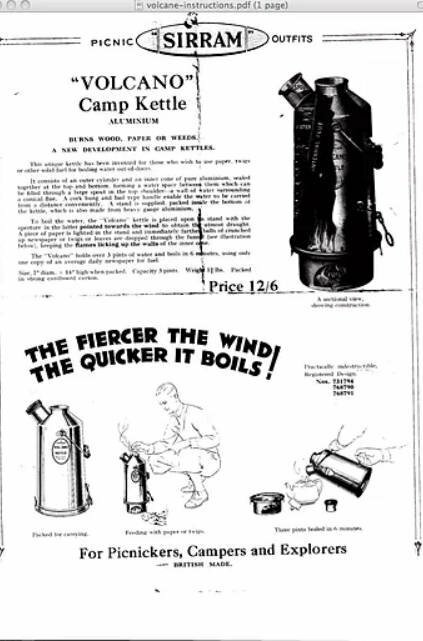 His "Thermette" kettle was first manufactured in 1929 and was standard issue for the New Zealand Army during World War II where it became known as the "Benghazi Boiler". 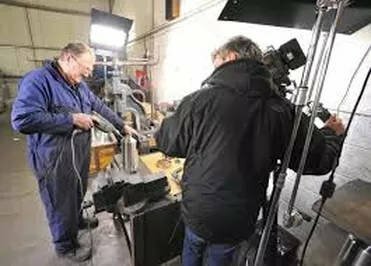 There's a record of a meeting between one of the Marris family members and John Ashley Hart after which the first "Sirram Volcano Kettle" appeared. These early copper models carried an inscribed plate which included "Registered Design No 731794". The records of the British Public Records Office show that this design number was issued in 1928. So that gives us the earliest definitedate for the "Sirram Volcano Kettle". 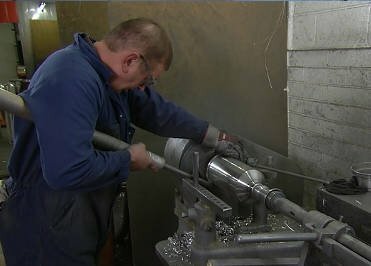 Marris eventually changed the production of the kettles from copper to spun aluminium. 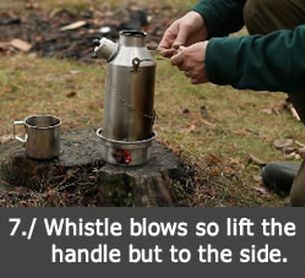 We know that "Sirram Volcano Kettles" were still in production in the late 1960's as the book "Modern Camping 1968", by Jack Cox quotes a UK Consumers Association test of 21 camp stoves which concluded " for boiling water quickly or washing up, there is nothing to beat a Sirram Volcano Kettle, either at home or abroad". 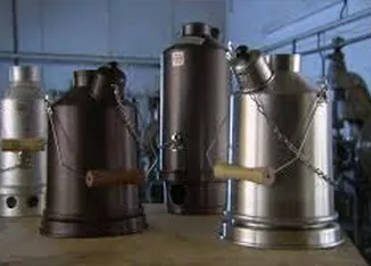 Production of the kettles ended around 1970 when the company was sold. Similar versions began to be produced by a number of companies, with some even claiming to be the original design. 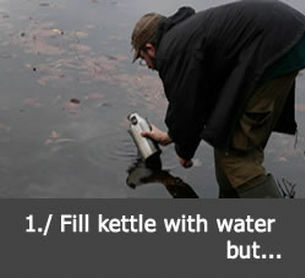 Yes, we sell Ghillie kettles in Canada! 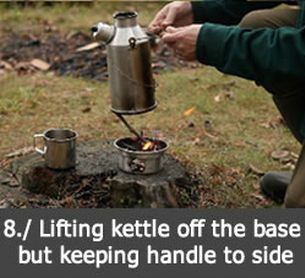 © 2017 Camping Kettle. All Rights Reserved.